If you’re a regular person, you want a bit of style from your car, a lot of presence and a high driving position you can’t get anything better than the BMW X5. If you’re the sort of person who wants a BMW X5 that will outrun a Lotus Elise, you go for the completely mad BMW X5 M version. But what if you become completely ridiculous when you pick the BMW X5 M and decide that you actually need more power. Well, there’s two things you can do, go get your head examined or turn to German tuner Hamann. If you go for the latter, you had better be prepared to dish out a lot of money (no word on pricing yet) and in return for it you get your fix. 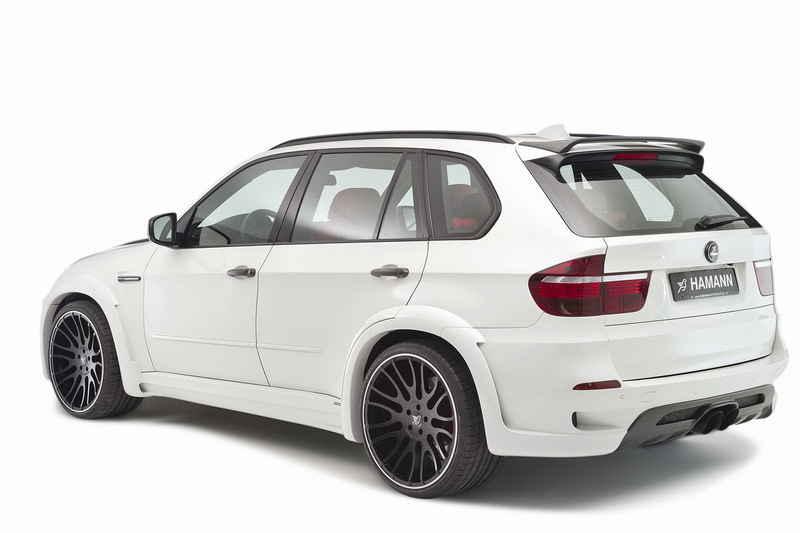 Hamann takes the BMW X5 M and fits it with better catalysts, a different exhaust and an ECU remap. 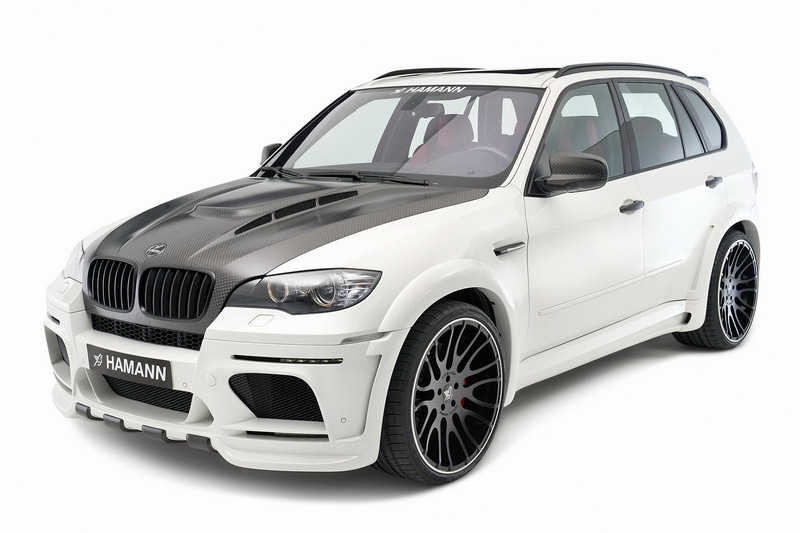 In the end, the Hamann BMW X5 Flash Evo M churns out 670 horsepower and 701 lb-ft of torque. Apart from this being enough power to change the course of history, if you put that under the bonnet of the X5 M you can take it up to 186 mph. Apparently they do a bit of a watered down version with “only” 610 horsepower but you’re bonkers remember? 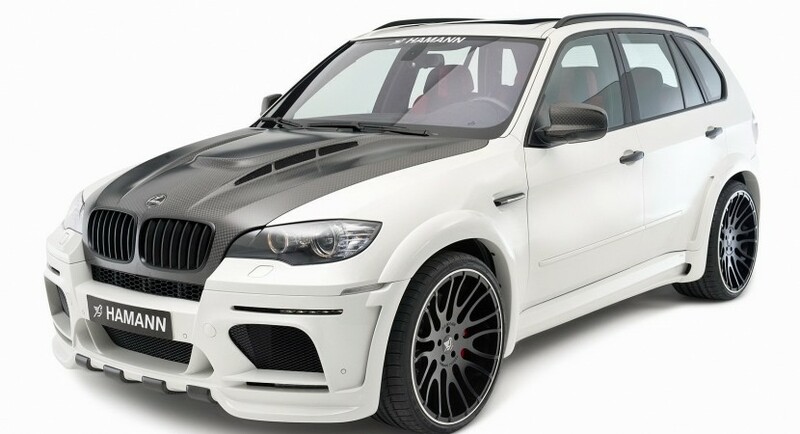 Beside the truly outrageous power the Hamann BMW X5 Flash Evo M serves up 22 or 23 inch wheels LED daytime running lights, a carbon fiber this, carbon that and a revised aerodynamics/look at me kit. Naturally there’s a lot of choices for the interior options but since you’d be mad enough to get something like this and drive it you’d probably drive it standing upside down so you shouldn’t care.